The 7-zip command line can be used to do a multiple folders backup. The good thing with 7-zip is that it support many compression method such as bzip2, gzip, zip and of course 7z. Download the 7-zip Command Line Version from http://www.7-zip.org/download.html. Extract the content of the zip file to a temporary folder. 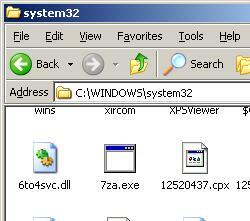 Copy 7za.exe to your system folder (for example C:\Windows\System32 for Windows XP). Create a folder for your backup, for example C:\backup. 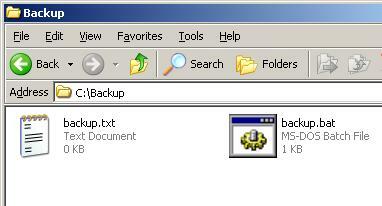 Create a text file in the C:\backup folder and name it backup.txt. List the full path of the folders that will be backup, each on a new line. Create a batch file in C:\backup folder and name it backup.bat. To back up, just double click the backup.bat file. A command prompt will be opened and closed automatically when the backup process end. As a result, you will get a backup file named backup.7z. The u command will instruct 7-zip to update the content of the backup.7z file or create a new one if backup.7z does not exist. If you don't like the 7z compression method and would like to use the zip compression method instead, just add -tzip switch after the u command. Now, the backup file that will be created is backup.zip. To automatically run a backup at a specific time, please use the Scheduled Tasks feature for Windows XP.